Kenya and Uganda are set to sign a joint financing deal for building the second phase of the standard gauge railway (SGR). Top officials from the two countries have already scheduled a trip to Beijing early next year. Kenya is seeking funds for the Naivasha to Malaba section of the SGR while Uganda plans to build the link to Kampala under a bilateral agreement signed between the two countries. Exim Bank of China, which is the financier of the project for both countries, had committed to extending credit to Uganda on condition that Kenya is ready to extend its section of the railway to Malaba. Uganda had written to Kenya in November requesting an assurance that it will extend the rail to the border town in a bid to secure financing from the China based lender. Kenya Railways managing director Atenas Maina confirmed that the two nations signed a joint commitment for funding, which will pave the way for Uganda to access funds. “We signed bilateral commitment with Uganda in seeking funds for the extension of the northern corridor and we shall be visiting China in the first quarter of 2017 to ink a financial deal,” said Mr Maina in an interview with the Business Daily. Uganda is yet to start building its section of the SGR while Kenya’s first phase, which runs from Mombasa to Nairobi, is 98 per cent complete and is expected to be operational by June. The bank had committed to finance the Nairobi to Naivasha section of the railway at a cost of $1.5 billion. There were fears that Kenya would terminate its railway at Kisumu after Rwanda indicated that it was pulling out of the initiative. The Transport ministry had indicated that it would not extend the railway to Malaba if Rwanda pulled out of the project. However, Rwanda later clarified that it was still interested in the venture. Building of the railway on the Kenyan side has faced a number of challenges including delays after animal rights activists claimed that it would interfere with wildlife in Nairobi National Park. Last year Kenya Railways Corporation signed an agreement with the Kenya Wildlife Service and the National Land Commission allowing the railway to pass through the park. This was to avoid a huge compensation bill arising from demolition of industries and residences in Mlolongo and Athi River, along the original railway’s path, on the outskirts of Nairobi. 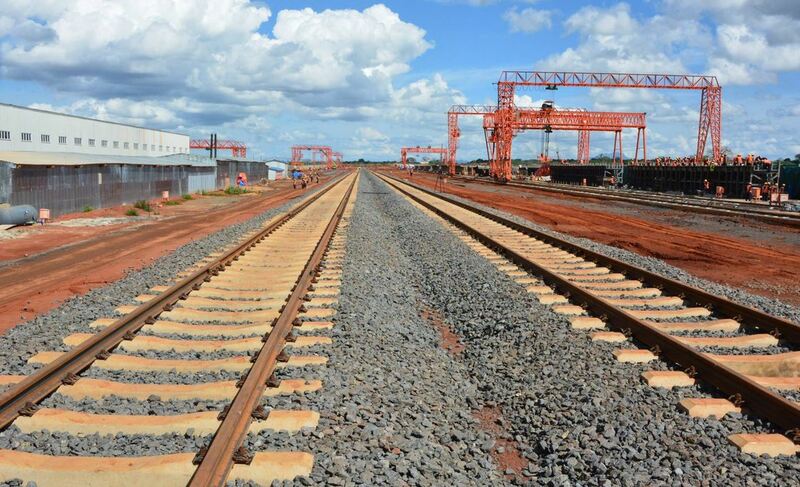 The Chinese loan for construction of the railway from Mombasa to Malaba will hit the $10 billion mark. Exim Bank will pump in $4.9 billion for the Kisumu to Malaba section. The bank will also fund construction of a modern $140 million port in Kisumu as Kenya targets a bigger stake in the East African maritime trade. Kisumu is sees as a critical hub for trade with neighbouring countries such as Tanzania and Uganda and by extension Rwanda, Burundi and the entire Great Lakes region. For decades, Kisumu port registered robust business activity helped by a reliable railway system and maritime vessels which ferried cargo to ports such as Mwanza and Bukoba in Tanzania and Jinja and Port Bell in Uganda.